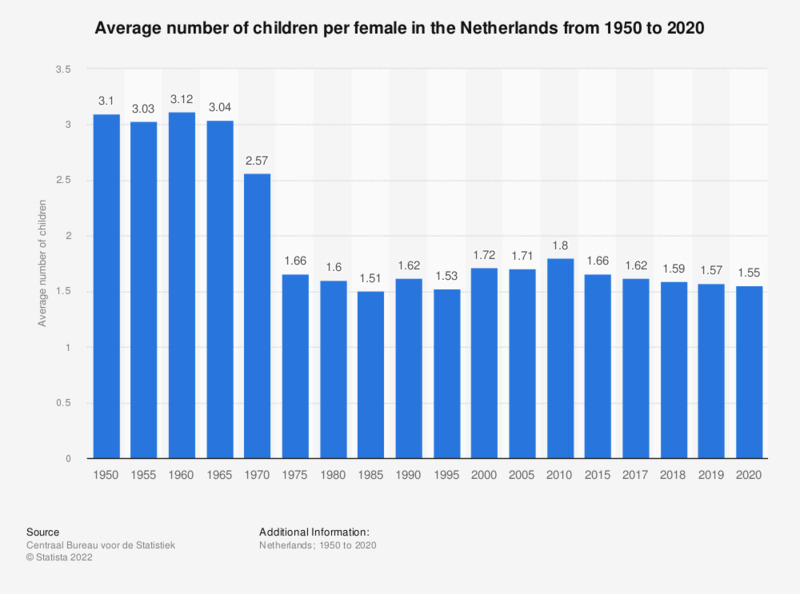 This statistic shows the average number of children per female in the Netherlands from 1950 to 2017. In 2017, women in the Netherlands had an average of 1.6 children. That was half the number of children women in 1950 had. As this statistic on the average number of children per female in the Netherlands in the past ten years shows, this number has been relatively stable in recent years, around 1.6 to 1.7 children per female. The same applies to the average number of children per male in the last ten years, which can be viewed here. Both men and women in the Netherlands had an average of 1.6 to 1.7 children, although the average for women seemed slightly higher in the most recent years. The average number of children a woman would have if the age-specific fertility rates in a particular year were to apply throughout her lifetime. Do you agree or disagree with the statement: "I define myself as a feminist - someone who advocates and supports equal opportunities for women"?